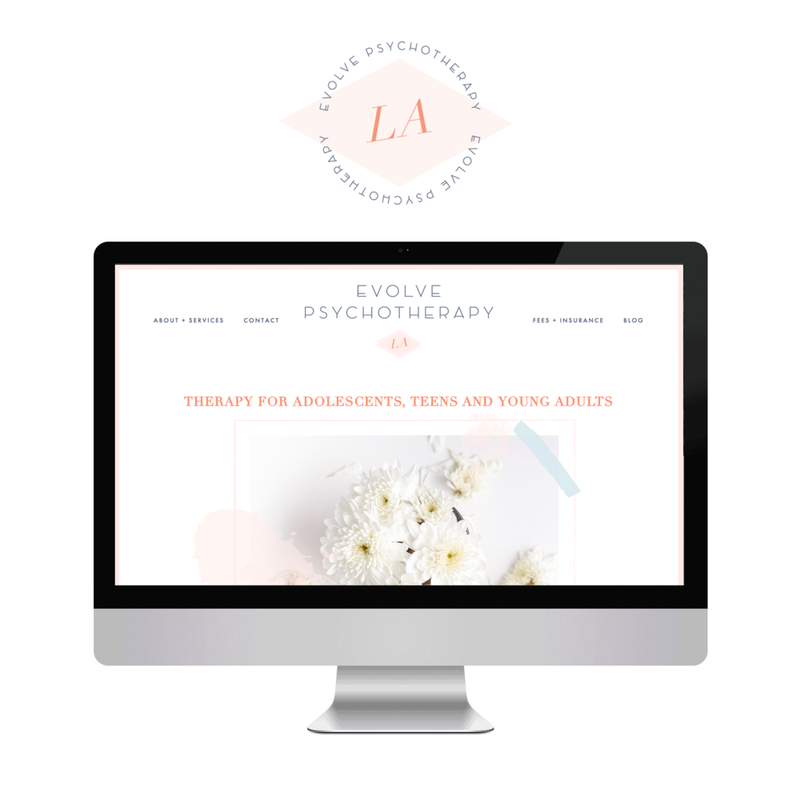 Evolve Psychotherapy LA is a psychotherapy practice for artists and creatives based in LA. Cynthia runs her practice as a heart-centered business that is also high-end. Her office is located in the Arts District of LA so it's full of creatives. We completed her branding and website from the ground up. She came in wanting a clean, soft and professional look with a splash of color and trend to attract her dreamy artistic clients. 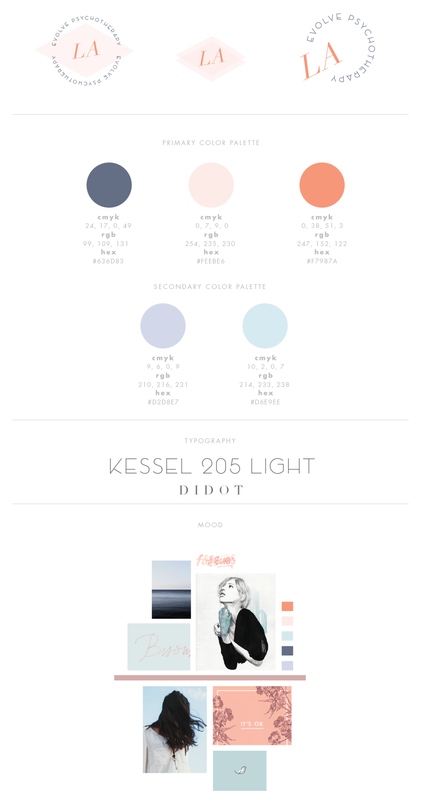 The color palette has to be one of my favorites ever!